Can you even imagine not having plumbing or cleaning equipment at your disposal? A clogged drain is a bad sight, does not matter where and how. It is far better to avoid blocked drains than doing some hard work. Take pride in keeping your home clean and maintain good hygiene level. Blocked drains not only look sour to the eyes but also cause diseases. They are the breeding grounds for cockroaches and other pests. They can cause diseases like diarrhea, food poisoning, vomiting, etc. The best way to avoid blocked drain is to avoid any disposal of things that cause such kind of trouble. But, is it always possible to be so careful? The following key tips would help you to keep your drain clean and maintain hygiene. Another important thing that you should always keep in mind is to keep your drain free from bad and rotten smell. Try Not To Put Solid Food Or Oil Down The Kitchen Sink: Sometimes, it so happens that while washing dishes in the sink, some portions of solid may clog the drain. Every time you do that, you are causing trouble for yourself. Use your garbage disposable bag and make sure that your utensil is clean of any food debris before you wash it in the sink. Blocked drain occurs when you have too much food down the drain. Never pour oil down your sink. Oil when hot is in a liquid state, but when it slowly turns cold, it solidifies and creates a greasy look. Thus, this grease sticks to the pipes and clogs the drain. Always Remember To Use Sink Strainer: The best way to avoid blocked drain is to use a sink strainer. You can use one that fits easily into your drain. Do not hesitate in investing in a high-quality sink strainer. Buy the right size, as too small or too large would allow food to possibly pass. You can definitely use a clog remover. Pour Hot Water On Your Sink From Time To Time: Sometimes, pour a kettle of hot water on the sink to dissolve any fat or grease that may have been stuck. Do not pour it in a hurry; pour it slowly to avoid splashing. This does not lead to any sluggishness of the drain and prevents clogging. You can also throw a handful of baking soda and follow it with hot water. Baking soda is a cleaning agent and therefore along with making it clog free, you get a clean and shining sink too. 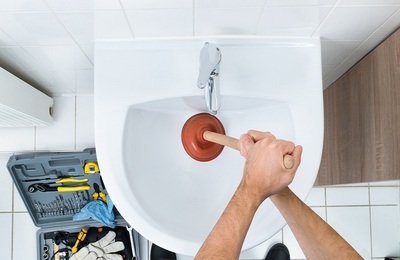 Flush Your Pipes From Time To Time: You can never have an idea of whether something is residing inside the pipe without checking it out thoroughly. Therefore, plumbing issues may happen while you remain unknown to the fact. You can avoid this by periodically filling your sink with water and pulling the stopper. This would dislodge any remains of the particle inside the pipe. Besides, it is an easy and worthy method. This would help you immensely to avoid blocked drains. Inspect Your Drainage System At Short Intervals: You should definitely have your septic system inspected at an interval of every two to three years. Issues with your drainage system may lead to clogging of your drain, which would be the main reason behind your blocked drain disaster. Hire professional for blocked drains, who is having the right equipment and gear. If you do not take care of your own home sink and drainage system, you may end up paying huge plumbing bills. Frequent clogs damage pipes and drains. Having a good drainage system in each household is of utmost importance. Therefore, follow these tips to avoid blocked drains and help you run your daily chores smoothly and efficiently, whether it is kitchen or bathroom.